Carrie was born on Earth in the state of Mississippi in the year 2333. She was raised by her grandmother in Hattiesburg until she was fifteen and got kicked out. She survived on her own for two and half years before entering Starfleet Academy at the age of seventeen after graduating high school. Despite being on her own and working to support herself she managed to finish in the top five percent of her high school graduating class. Her temper, the reason her grandmother kicked her out, got her into trouble at the academy. She always has been quite the hell cat. It is something that still gets the better of her at times. 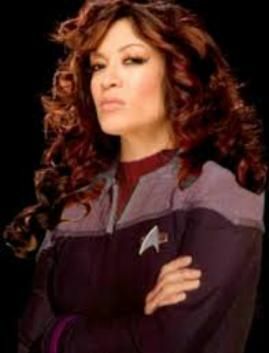 A twenty three year veteran of Starfleet Carrie was reassigned in 2379 to be the First Officer on the USS Hawking as part of Project Full Circle.